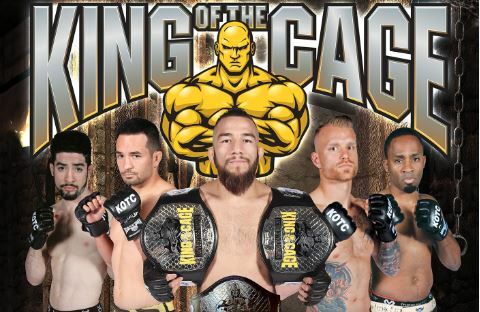 King of the Cage, also known as KOTC, is a mixed martial arts promotion established in 1998 and based in Southern California, United States. Notable alumni include Daniel Cormier, Carlos Condit, Diego Sanchez, Tait Fletcher, Joe Stevenson, Keith Jardine, Urijah Faber, Quinton "Rampage" Jackson, and more! 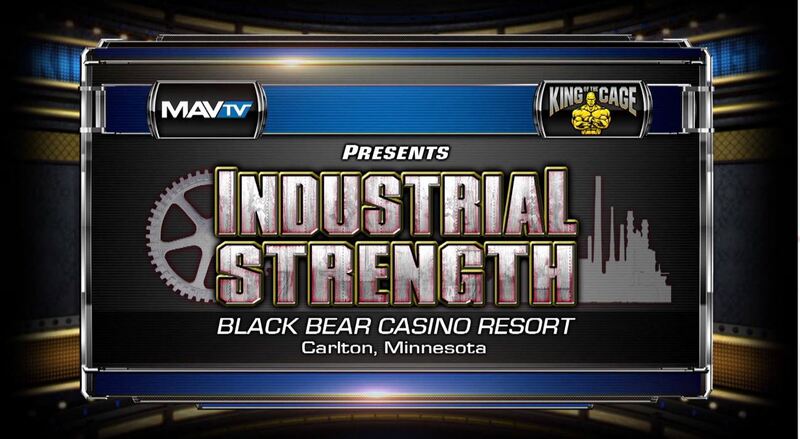 KOTC: Industrial Strength Nov 21, 2014 (2:16:55) KOTC: Industrial Strength from November 22, 2014 in Minnesota, USA. 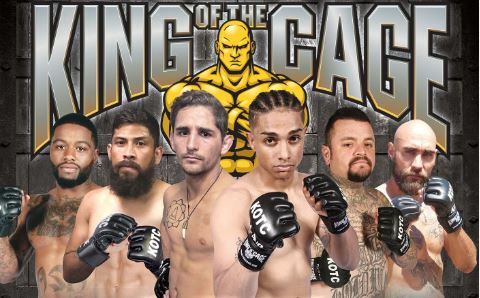 KOTC KOTC: Conquistadors II Dec 3, 2017 (1:31:41) KOTC: Conquistadors II December 3, 2017 in California, USA. Featuring Brandon Aviles vs Chandler Nguyen, Noah Christy vs Jilbert Rafol, Nick Angeloni vs Mattt Gomez, Rick James vs Justin Govenale, Anthony Hernandez vs Matt Lagler, Julian Waterbury vs Anthony Jimenez and Juan Archuleta vs Mark Dickman. 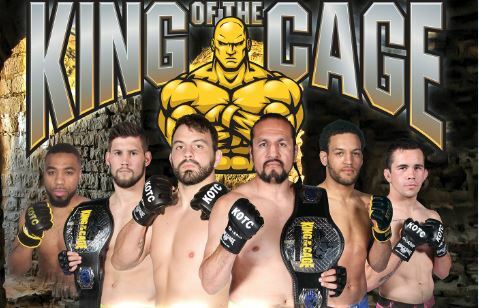 KOTC KOTC: Conquistadors I Dec 3, 2017 (1:32:05) KOTC: Conquistadors I December 3, 2017 in California, USA. Featuring Irvins Ayala vs Dereck Lee, Desmond Torres vs Mike Hansen, Albert Vleoz vs Mike Andaya and Reuben Duran vs Fard Muhammad. KOTC KOTC: Counterstrike II Aug 12, 2017 (1:32:05) KOTC: Counterstrike II August 12, 2017 in New York, USA. Featuring Jay Jackson vs Erik Herbert, Jesse Bazzi vs Pat Mix, Daniel Hernandez vs Sidiah Parker, Sean Felton vs Tye Knuckles, Caitlin Giesen vs Hannah Singer, Jesse Sipson vs Brady He istand and John Naccarato vs Seth Freeman. KOTC KOTC: Counterstrike Aug 12, 2017 (1:32:16) KOTC: Counterstrike August 12, 2017 in New York, USA. 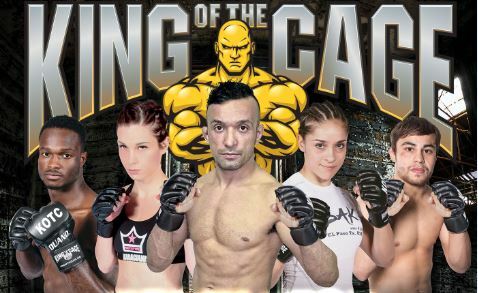 Featuring Ali Rexhepi vs Khazart Begmurodov, Skylar Parsey vs Jeremy Stopa, Melissa Karagianis vs Andy Nguyen, Vince Ciotoli vs Anthony Norton, Alejandro Santiago vs Eddie Weiser and Matt Norstrand vs Anthony Van Dyke. 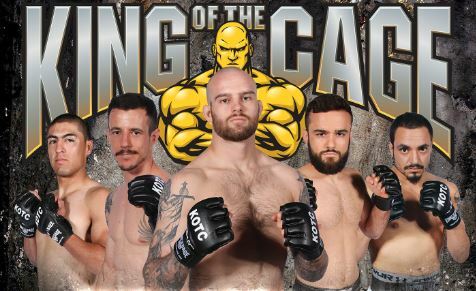 KOTC KOTC: Stone Cold Dec 7, 2017 (1:31:52) KOTC: Stone Cold from December 7, 2017 in Wisconsin, USA. Featuring Dominic martin vs Andrew Kazlaric, Nick Klein vs Sean Wallace, Giovanni Hernandez vs Jaxson Brown, Conor Fussner vs Jerome Hanson, Dylan Schoenfeld vs Christian Herbeck, Steven Rodriguez vs Alex Bowers, Amanda Labo vs Courtney Labuy, Frank Young vs Morgan Sickinger, Jay Jackson vs Frank Schuman, Jay Ellis vs Isaiah Pitts and Tyree Milsap vs Chad Johnson. 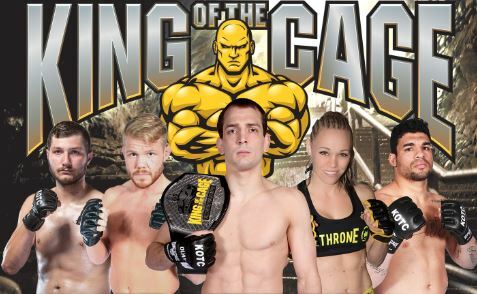 KOTC KOTC: New Beginning Nov 16, 2017 (1:31:52) KOTC: New Beginning November 16, 2017 in Idaho, USA. 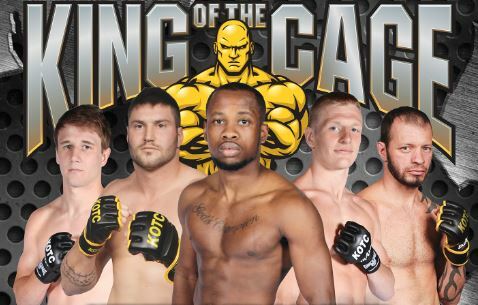 Featuring Austin Williams vs Robert Johnson, Kevin Sanchez vs Adam Cool, Brady Hiestand vs Taylor Rogers, Chansey Blanton vs Matt Rowley, Dan Gadley vs Nick Masonholder, Kody Eilers vs Brent Fisher, Jimmy Molina vs Cameron Robinett, Chris Dempsey vs Elijah Ross, Jacob Smith vs Dakota Schnall, Rocky Sheerwood vs Jordan Currie, Nicole Johnson vs Elizabeth Phillips. 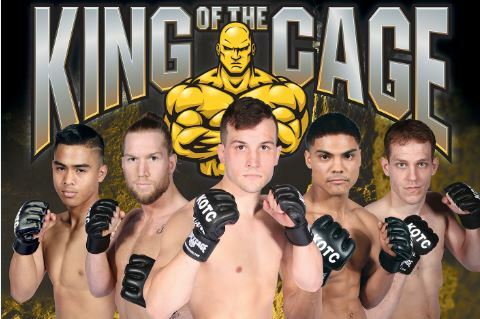 KOTC: Locked in Oct 28, 2017 (1:32:03) KOTC: Locked in October 28, 2017 in Pennsylvania, USA. 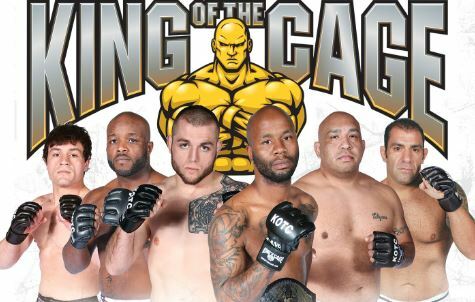 Featuring Angelo Thakur vs Jeremiah Sullivan, Chris Sperow vs Rob Astacio, Branden Stitt vs Devon Harrell, Will Gunnett vs Taylor Pierce, Dalton Adams vs Miguel Diaz, Hakeif Phillips vs Josha Vann, Elijah Harris vs Kaheem Murray, Eddie Alvarez vs Tom Espinosa, Scott Dirkson vs Cody Hier vs Chris Humes-Mitchell, Ryan Cafaro vs Bi Nguyen vs Lindsey Van Zandt vs Jesse Murray vs Jason Butcher. 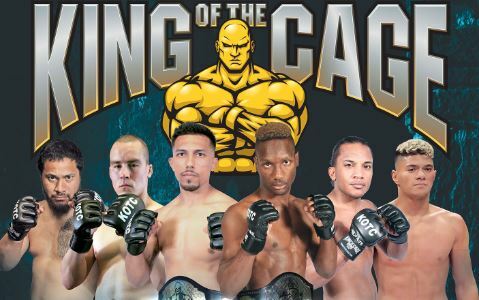 KOTC KOTC: Future Legends 39 Oct 7, 2017 (1:32:15) KOTC: Future Legends 39 October 7, 2017 in Nevada, USA. 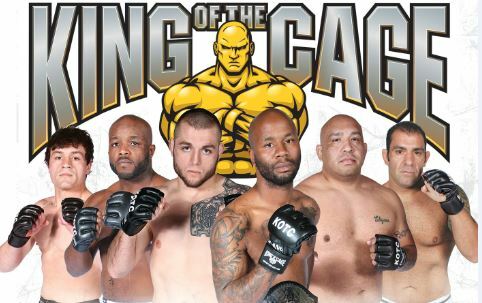 Featuring Tony Asadourian vs Robert Banzzini, Antonio Gonzalez vs Francisco Garcia, Eli Perez vs Martin Velez, Christian Byers vs Jeremiah Young, Muhammad Naimov vs Jorge Juarez, Matt Hodge vs Mike Valdez, Rene Ruiz vs Ramon Valdez, Trent Lee vs Irvins Ayala, Stephen Stirewalt vs Alberto Romo, Rojelio Reyes vs Brody Hillman, Sean Crenshaw vs Asa Carraway, Tim Cameron vs Ivan Alvarado, Steven Hoffman vs Max Rohskopf and Dean Parker vs Victor Sydnor. 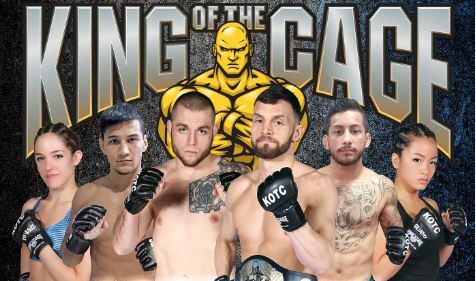 KOTC: Next Level Oct 21, 2017 (1:31:35) KOTC: Next Level October 21, 2017 in Iaowa, USA. Featuring Travis Bullock vs Ricky Ortiz, Charity Lauby vs Paige Blair, Dion James vs Sam Vice, Brad Scholten vs Jacob Zogg, Terrance Almond vs Austin Peterson, Ryan Debelak vs Patrick Martin, Derek Perez vs Drako Rodrigue, Eddie Larrea vs Kyle Angerman and Jay Ellis vs Blaze Gill. 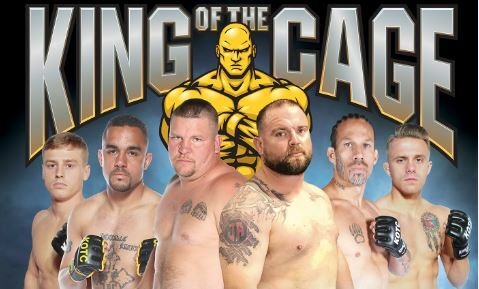 KOTC: Last Stand Oct 7, 2017 (1:31:35) KOTC: Last Stand October 10, 2017 in California, USA. 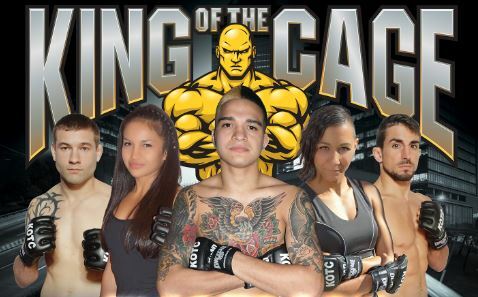 Featuring Glen Wheeler vs Brad Renton, Nicolas Ciabttoni vs Alan Hodges, Melissa Field vs Nelida Martinez, Victor Rivera vs Lake Gee, Lovethpatra Young vs Valerie Wong, Anthony Lopez vs Kacey Saunders, Frank Farmer vs Ryan Hamilton, Jorge Cuellar vs Charles Guthrie, Katie Saull vs Kelly Villarino, Justin Baesman vs Aaron Hedrick and Anthony McDonald vs Joshua Applet. 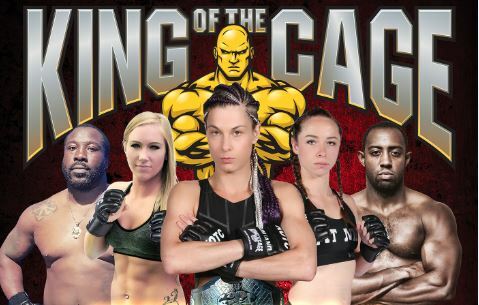 KOTC: Future Legends 38 Sep 16, 2017 (1:31:35) KOTC: Future Legends 38 September 16, 2017 in Nevada, USA. Featuring Raul Garcia vs Michael Quinones, Pat Brown vs Ben Sablan Jr, Andrew Van Horn vs Mebrahtu Gobina, Jared Cline vs Sean Cross, Eric Anderson vs Joseph McKay, Rocky Batton vs Andreas Vasquez, Kevin Van Delinder vs Ray Ostrander, Kevin Van Delinder vs Ray Ostrander, Curtis Fields vs Alex Mosier, Harry Mosley vs Kaisar Saulebayev, Emaun Greagor vs Matt McCrary and Kris Jennings vs JJ Torres. KOTC: El Diablo Sep 16, 2017 (1:32:00) KOTC: El Diablo September 16, 2017 in Colorado, USA. Featuring Robert Oakley vs Nate Seltzer vs Sergio Gutierrez vs Alex Jones vs Nikko Nathan vs John Brown vs Shania Arredondo vs Tabitha Trevino vs Jesus Orta vs Grant Hobbs vs Joseph Veloz vs Joey Trevino vs Gene Perez vs Kevin Wirth vs Sherwin Price vs Mason Rivera. 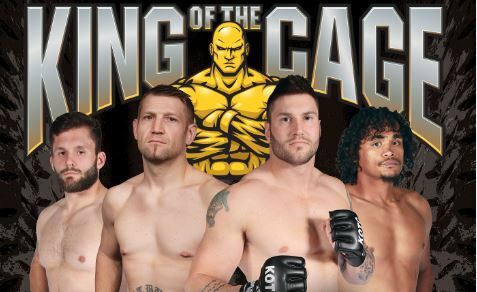 KOTC: Never Surrender Sep 9, 2017 (1:32:15) KOTC: Never Surrender September 9, 2017 in Minnesota, USA. Featuring Cody Garness vs Nick Spina vs Starr Roberts vs Sammy Cleveland vs Eddie Larrea vs Roman Alcantar vs Dino Saracco vs Tom Krenzel vs Rick Ogden vs Jesse Rogge vs Devante Kyse vs Michael Jokondo vs Franklin Springfirld vs Casey Goulet vs Manatua Lemaire vs Michael Larson vs Michael Freyling vs Devon Pulczinski. 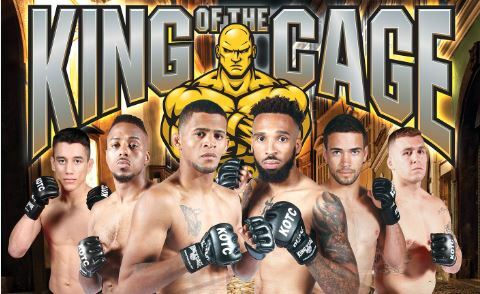 KOTC: Second Coming II Aug 5, 2017 (1:33:11) KOTC: Second Coming II August 5, 2017 in Michigan, USA. Featuring Eddie Larrea vs Jesse Murray vs Kyle Prepolec vs Troy Lamson vs Caresse Archer vs Kalinn Williams vs Angelo Popofski vs Robert Morrow vs Kyna Sisson vs Chelsea Faulder vs Travis Ellul vs Bobby Tucker vs Dan Claus vs Maurice Williams vs Korey Kuppe vs Marcus Maulding vs Brandon Noble vs Murjan Flowers vs Avan Bashi vs Jimmie Torrez vs Anthony Wong vs Jesse Smith vs Nicholas Shammami vs Brandon Hunt Jr.
KOTC: Next In Line Aug 17, 2017 (1:32:21) KOTC: Next In Line August 17, 2017 in Idaho, USA. Featuring Jordan Currie vs Tony Lopez, Jerome Jones vs Jason Norwood, Elliott Conn vs Dakota Schnall, Chris Dempsey vs Jacobe Adams, Bryce Walden vs Jesse Jacobsen, Matt Main vs Elijah Ross, Paul Martinez vs Killian Estes, Michael Northup vs Cordell Chunn, Jimmy Molina vs Malik Slack, John Naccarato vs Seth Freeman and Brady Hiestand vs Jesse Simpson. 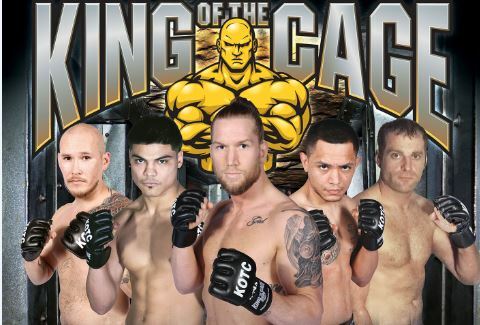 KOTC: Future Legends 37 Jul 15, 2017 (1:32:41) KOTC: Future Legends 37 July 15, 2017 in Nevada, USA. Featuring Isaiah Culpepper vs Anthony Jimenez vs Roderick Sharpe vs Julian Waterbury vs Jered Gwerder vs Billy Elekana vs Isaac Henriquez vs Josh Trejo vs Mike Tim vs Anthony Rogue vs Jose Aparicio vs Frederick Powell vs Brian Williams vs Max Riddle vs Andrew Rooks vs Ricky Elekana vs Bryan Hales vs Tofilua Mika vs Tommy McMillen vs Jose Orozco. 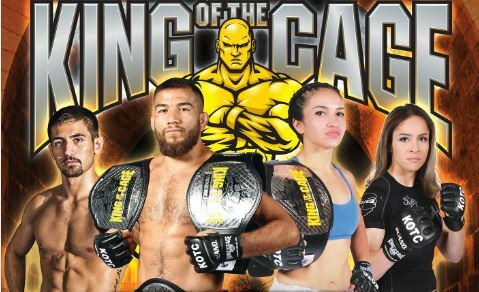 KOTC: Second Coming Aug 5, 2017 (1:32:34) KOTC: Second Coming August 5, 2017 in Michigan, USA. Featuring Eddie Larrea vs Jesse Murray, Kyle Prepolec vs Troy Lamson, Caresse Archer vs Kalinn Williams, Angelo Popofski vs Robert Morrow, Kyna Sisson vs Chelsea Faulder, Travis Ellul vs Bobby Tucker, Dan Claus vs Maurice Williams, Korey Kuppe vs Marcus Maulding, Brandon Noble vs Murjan Flowers, Avan Bashi vs Jimmie Torrez, Anthony Wong vs Jesse Smith and Nicholas Shammami vs Brandon Hunt Jr.
KOTC: Fractured Aug 5, 2017 (1:31:59) KOTC: Fractured from August 5, 2017 in Oregon, USA. Featuring Tyson Jeffries vs Ben Egli, Katie Howard vs Glena Avila, Ronny Markes vs Dylan Potter, Enrique Sierra-Hoa vs Ryan Walker, Keith Wolf vs Chance Gabriel, Zachary Van Zile vs Baba Tunde Arigbon and Aaron Bowles vs Alex Aguilar. 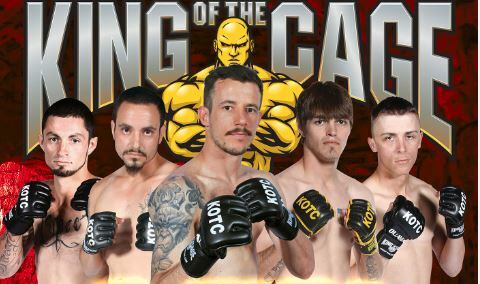 KOTC: Chosen Few Jul 8, 2017 (1:32:17) KOTC: Chosen Few July 8, 2017 in New Mexico, USA. Featuring Esias Gordo vs Jess Martinez, Paco Castillo vs Tim Sossa, Joey Trevino vs Ricky Esquibel, Isaac Barnes vs Sherwin Price, Derek Perez vs Jon Sparks, Chris Cortez vs Francisco Dominguez, Tyrel Wisdom vs Sam Martin, Alex Jones vs Ronald Smith, Ray Vaiza vs Chase Emener and Eduardo Silva vs Aaron Montano. KOTC: Regulator Jul 1, 2017 (1:31:45) KOTC: Regulator from July 1, 2017 in California,USA. 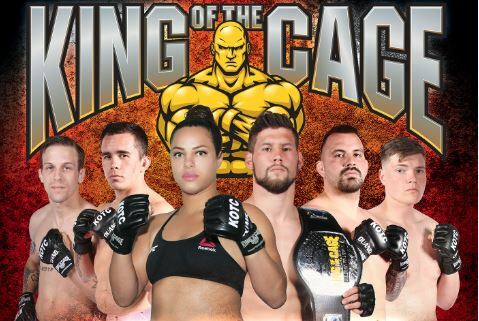 Featuring Jesus Urbina vs Sidemar Honorio, Anthony Coleman vs Chris Daukaus, Darren Gibbs vs Earl Small, Kyle Walker vs Kyle Daukaus, Katie Saull vs Lindsey Van Zandt, Melissa Karagianis vs Cynthia Arceo, Aaron Kennedy vs Miguel Diaz, Anthony Bryson vs Darryn Messersmith and Tyley Buckman vs Joe Byers. KOTC: Maximum Intensity Jul 15, 2017 (1:32:48) KOTC: Maximum Intensity July 15, 2017 in Iowa,USA. Featuring Heath Mammen vs Kyle Angerman, Erick Murray vs Braden Erdman, Kevin Asplund vs Brad Scholten, Emeka Ifekandu vs Jorge Serrano, Cody Garness vs Jesse Free, Rick Ogden vs Biomah Karmo, Dominic Martin vs Drako Rodriguez, Caitlin Giesen vs Hannah Singer and John Hobson vs Ricky Ortiz. 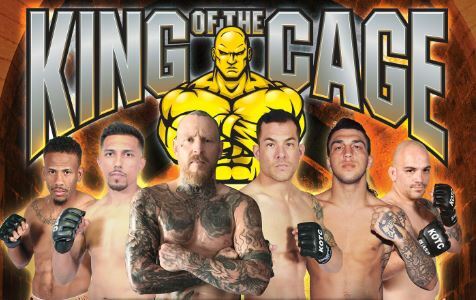 KOTC: Flashback Jun 24, 2017 (1:32:30) KOTC: Flashback from June 24, 2017 in California, USA. Featuring Benny Vinson vs Benito Lopez, Angela Danzig vs Stephanie Frausto, Jamario Mulder vs Chris Marinelli, Idris Wasi vs Jairo Chavez, Jasmine Pouncey vs Valerie Wong, Ben Sablan Jr vs Robbie Olive, Jeslen Mishelle vs Lexi Terramana and Omar Diaz vs Alexander Mosier. 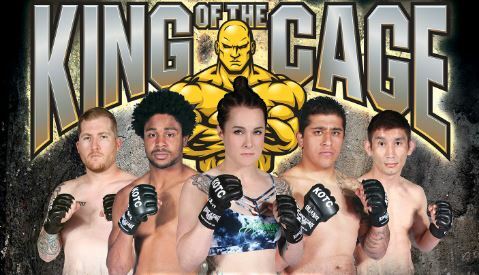 KOTC: Quick Draw Jun 17, 2017 (1:31:55) KOTC: Quick Draw from June 17, 2017 in Idaho, USA. Featuring Scott Thometz vs Kerry Lattimer, Bobby Sanchez vs Casey Johnson, Ryan Wagner vs Luis Cortez, Rowdy Akers vs Vince Morales, Andrew Cruz vs Vince Fricilone, Chris Hunt vs Angel Valenzuela, Taylor Rogers vs John McComas, Leon Taylor vs Dustin Jones, Stephanie Hernandez vs Dana Hernandez and Frederick Powell vs Oris Martinez. KOTC: Warlords 2 Jun 10, 2017 (1:32:30) KOTC: Warlords 2 from June 10, 2017 in Colorado, USA. Featuring Shem Prieto vs Steve Hanna, Cristobal Chavez vs Kevin Wirth, Ricardo Maynez vs Anthony Chavez, Richard Jennings vs Alvinanthy Dickie, Ray Viaza vs Raymundo Leon, Chrys Lee vs John Brown and Manny Villareal vs Robert Cortez. 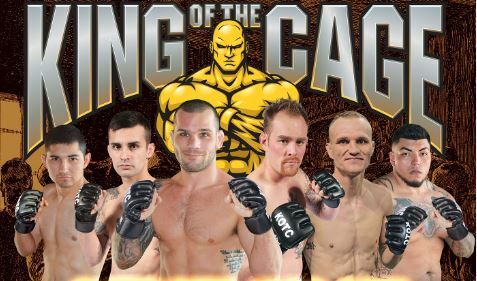 KOTC: Fire Starter Jun 9, 2017 (23:01) KOTC: Fire Starter from June 9, 2017 in Minnesota, USA. 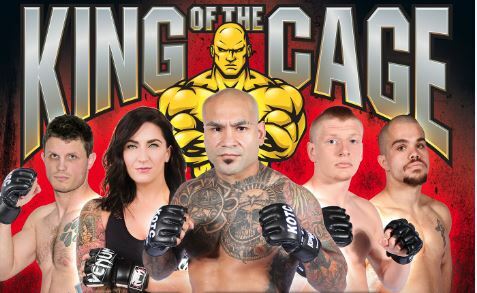 Featuring Aaron Hedrick vs Tat Romero, Jonathan Smith vs Chris Collins, Erson Yamamoto vs Jesse Rogge, Michael Jokondo vs Jonathan Bird, Rachel Ervin vs Ashley Romero, Casey Goulet vs Josh Hautajarvi and Cooper Hayes vs Brandon Hunt Jr.
KOTC: Fire Starter - Prelims Jun 9, 2017 (23:01) KOTC: Fire Starter Prelims from June 9, 2017 in Minnesota, USA. Featuring Tom Krenzel vs Collin Huckbody, Mitch Conner vs Noah Landrus and Christian Herbeck vs Garett Olson.